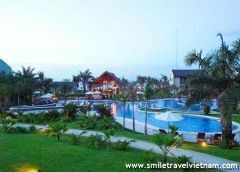 Hoi an beach resort, discount rates at Hoi an beach resort. 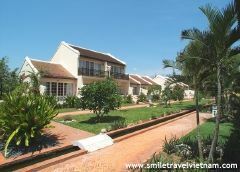 The Resort consist of many villas built in the style of a traditional Vietnamese Village. 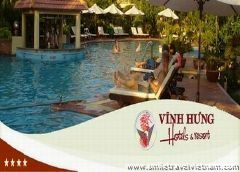 It has 85 rooms equipped with modern comforts and all the services expected in a modern international standard resort. 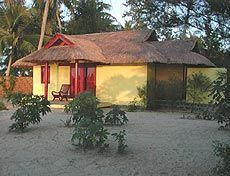 Beach Resort offers travellers the highest standard international accommodation in a beautiful garden setting. 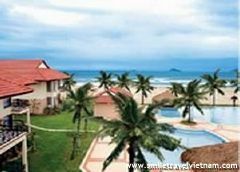 Hoi An Beach Resort is located to the east of the ancient town on the Cua Dai beach. 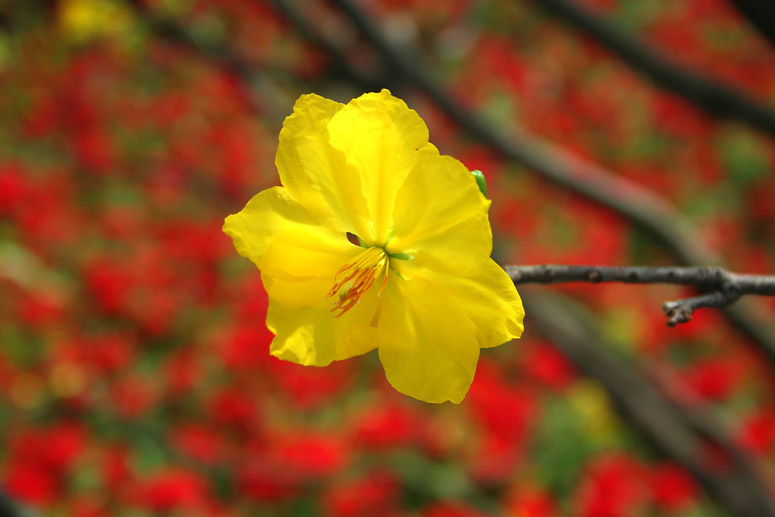 The pristine environment provides a secluded refuge from the busy town center. 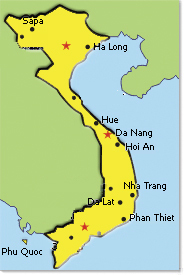 Danang International Airport is 30 minutes drive to the north of Hoi An. 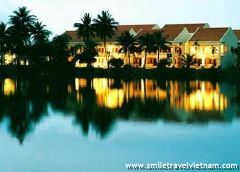 The Resort is 4 kilometres from the town center. Offers local Vietnamese specialities with a special emphasis combining delicious fresh seafood with local delicacies in a traditional port setting. Cooking class starts at 8.00am daily. Serves coffee, tea and light snacks throughout the day while the Bar provides entertainment into the night. There is a pool snack bar for guests relaxing at swimming pool. 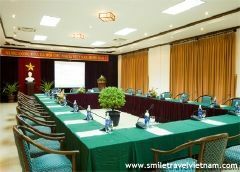 Location in the second floor opens to the airy atmosphere, it is an ideal for organizing the meeting. With the capacity up to 150 seats and one other 350 seats ( is building), the building has a full view overlooking the De Vong River and Cua Dai Beach and especially far away is Cham Island.. In the resort, you will have a great time to swim in the cool stream of Cua Dai Beach or an helpful exercise in the gym, a game at billiards and all water skiing, Jet skiing... Or you just lay down by the sea to refill your energy, keep your health stronger and fully relax with fresh ocean wind. The tour takes half day to Lang beach for seeing some interest places as such Au Thuyen – a shelter for boats at bad weather, an over-100 years Tay Tang pagoda remarks the Puddhism came here for long time ago, Ong temple – a place worships a big fish burried here. Available at the resort, registered daily for request in advance.